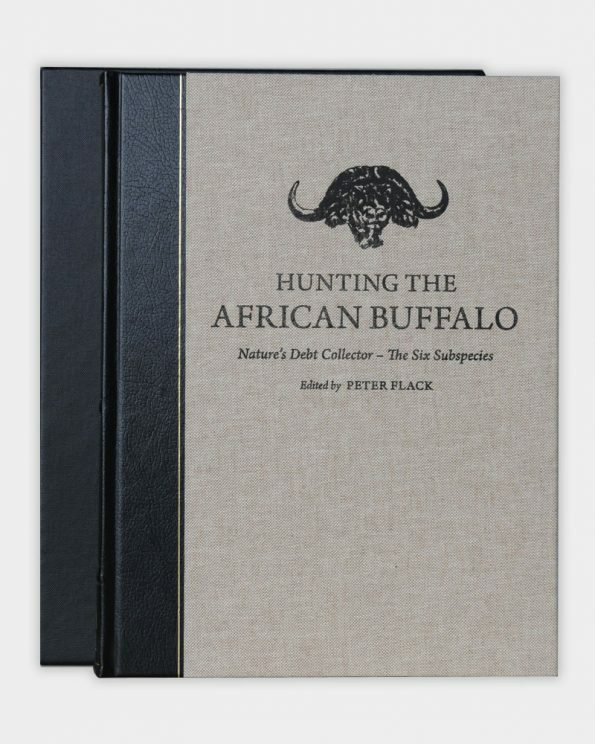 The object has been to provide the reader with all the information it is possible to glean from a book about all the different buffalo subspecies in Africa and how to go about hunting them. 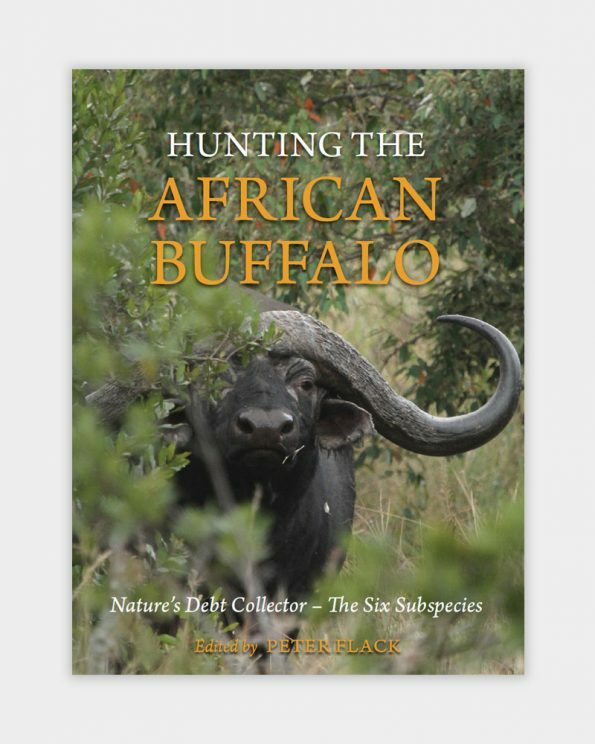 The object has been to provide the reader with all the information it is possible to glean from a book about all the different buffalo subspecies in Africa and how to go about hunting them. To this end, there are articles by hunters of yesteryear, top professional and also amateur hunters of today, complemented by chapters on Hunting the African Buffalo, Guns and Loads for Buffalo, Clothing and Equipment – for both savannah and rainforest conditions – Notes on Buffalo Taxidermy, Africa’s Rarest Buffalo and a scientific chapter entitled, The Natural History and Management of the Cape Buffalo. With two exceptions, the articles by the various modern hunters – 30 in all – have been specially written for this book and cannot be found anywhere else. They have been chosen because each contains one or more valuable lessons – some direct and to the point and others subliminal. The professional hunters who have written articles are those who are or recently were at the very tops of their profession, while the articles by current amateur hunters have particular applicability for those who have just begun hunting one or more of these big, bus-bodied beasts. The professional hunters are the Who’s Who of buffalo hunting and include such experts as Don Cowie, Robin Hurt, Rudy Lubin, Christophe Morio, John Oosthuizen, Jeff Rann, Kevin Robertson, Jason Roussos and many more. The hunters of yesteryear include Christie, Findlay, Selous, Taylor, Temple Perkins, Vaughan Kirby and many more, while the amateurs count Craig Boddington and Reinald von Meurers among their foremost ranks. By including articles by hunters of yesteryear, it is possible to see how, on the one hand, things have changed when it comes to hunting buffalo from the perspective of rifles, ammunition, tactics and ethics and, on the other hand, how some things have remained the same. And that applies to some of the debates that still rage around campfires today – softs versus solids, aiming points on charging animals, whether wounded buffalo back track a hunter, whether unprovoked buffalo charge and, if so, under what conditions and from how far and so on. As a result, this is a big book, 480 pages long, illustrated with well over 700 colour and B&W white photos and printed on high art gloss paper to do them justice. The number of photos is probably a record for this kind of book but, as they say, a picture is worth a thousand words and it is well worth buying the book just to see some of the massive, free range buffalo captured on film, which give the lie to those who believe that all the big bulls have been shot out. Given the length and the extra costs associated with its production, the prices of the books are: $125.00 (R1 250.00) for the Standard Edition, $225.00 (R2 250.00) for the 300 Limited Editions – quarter leather bound, signed, numbered and cased – and $335.00 (R3 350.00) for the 30 Deluxe Editions – full leather bound, signed, numbered and cased. The books will not be reprinted and advance orders are already being placed especially for the Limited and Deluxe editions.